Shine Elegant Wearable Tracker @ Best Buy!! Shine is an elegant, all metal activity tracker that you can sync with your smart phone just by placing it on the screen. This brand new Shine activity tracking device will motivate and empower you to be more pro activate about your health! 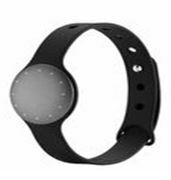 The Shine features tracking of all types including activity tracking for the following actions: steps, swimming, biking, tennis, sleep, calories and even serves as a clock. This Shine device runs on a coin cell battery that lasts about 4 months. To see how active you’ve been throughout the day, simply tap Shine and a halo of lights shines through the invisible micro-holes. laser drilled into the metal casing. When the small circle of lights is full, then your daily goal is complete. This allows you to see your progress throughout the day. For example, if the circle of lights is only half way lit- up, then you know you’re only half way done, when the circle is only a quarter full- then you know you’re only a quarter of a way there, and so on. 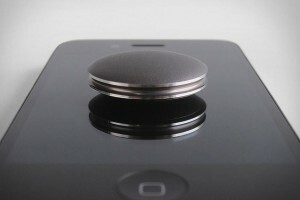 Shine is carved out of a solid block of aircraft-grade aluminum creating a very strong, durable and waterproof device. This Shine device is very tiny, and just a couple millimeters thick, making it one of the world’s thinnest wireless activity tracker so it can be worn just about anywhere, even when wearing close to nothing! Shine is about the size of a quarter and the magnetic clip gives you the freedom to secure the device just about anywhere on your body. Clip it on your pants, shirt, belt, bra, shoe laces, necklace, or shoes. Or use the wristband and wear it on your wrist where it can even function as a watch too! At Best Buy you can also find all sorts of additional accessories to house your tracker including sport bands, leather bands and necklaces. There are no buttons, no cables or no charging. Shine is exclusively available in additional colors at Best Buy including silver, black, champagne and topaz. Shine shown below with sport band.